This species was recorded the by Asahina from North Vietnamese forests in 1995. Dumon 2005, analysed the ITS and Ribosome gene area of members of Caloptera and the result showed that genome type of Caliphaea is not close to it of Noguchiphaea as their structure of their wing venation. 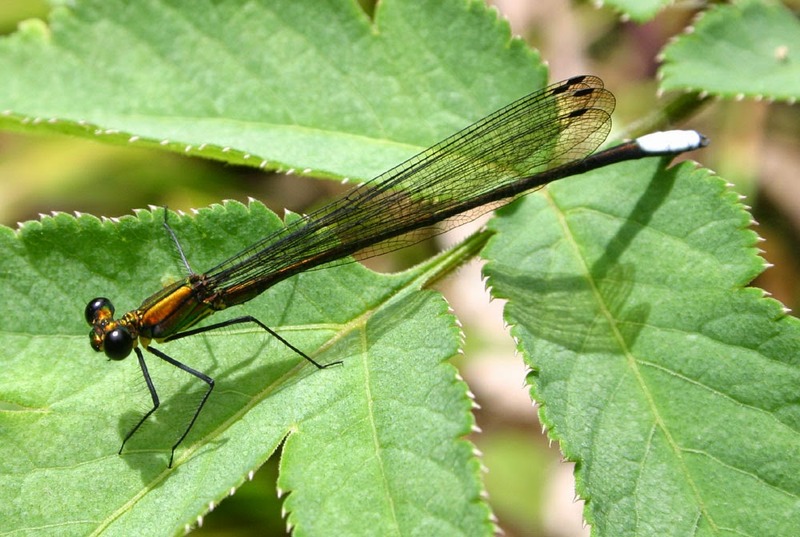 It is a small size calopterid damselfly. The synthorax is shining metallic green with yellowish marking, the abdomen is slim and shining metallic green with end segments usually are pruinose on dorsal side. Their wings are hyaline or amber hyaline, slightly petiolate at base and always are folded at rest; the pterostigma is always present. They are rare species but common locally, live in pristine forests of Limestone Mountains in the North of Vietnam. Both male and female are weak flying and they usually rest on vegetations around their breeding sites. Larvae of the species live in clear, fast running streams with high concentrate of oxygen and covered by vegetation.